This beautiful morning of another beautiful day, I pray, may the light of God shall be with you in every path you follow. God’s wisdom shall guide every step you take and you shall know peace in all decisions you make. You shall be empowered to foresee and activate every beautiful plans that God has for you. You shall receive clear insight to locate your central point of fulfillment. Every satanic fountain of shame, struggle and failure in your life shall dry up. He shall channel your steps into victory in coming days, in Jesus Mighty name. Good morning have a fruitful and favourable Tuesday. This beautiful morning of another beautiful day, I pray the Lord Jesus will answer your prayers speedily, treat your requests favorably and preserve your life for destiny fulfillment His grace will see you through. By the power of His mercy God will arise and convert your problems to promotions, in Jesus name Amen. Good morning, have a blessed Tuesday . The greatest blessing is activated powerfully each day in your life. Today I pray that you don’t make emotionally activated decisions, because the Spirit of wisdom is at work in you. Your decision be super-intelligent, result oriented and highly perceptive. As you go about your endeavours today; your choices, actions and words are in aligned with God’s plans and purpose for your life and you will make an all around success by the power of the Holy Spirit in Jesus mighty name. Have a blessed weekend. Lord I thank you for this Blessing. I thank for each minute of my life. I give my life into your hands. I know your plans will be established in my Life. Everyone who mocked over you will see the goodness of God in You..
Psalm 16: 7 I will bless the LORD, who hath given me counsel: my reins also instruct me in the night seasons. and great will be your children’s prosperity. for it won’t come near you. Now this verse is the word of God, it clearly explains how God restores your life without reason, Jesus is glorified with the cloth of righteous and how God of heaven gives us the attention which actually we have got because of the blood of Jesus. God clearly says, he will teach us, guide us and counsel us. Also on the other part, He says, I will prosper my children, how will you believe this, how this will be an assurance to your heart and mind? It’s very understandable, the Lord says, “for my Children”, how beautiful it is to have a God like this. I always love being on God’s Side. I love it in fact! I love God because He loved me even when I don’t understand myself. I am Blessed, and you too my dear readers, It’s awesome! You should be dancing for what I am saying because you are getting the blessing as you are reading. Now that God really promises to bless us in a special way he does expect us to be loyal and have a good relationship with him. This is because he cares for you and we are by any means his children. God is powerful in his working, he understands we are weak as we are physically made with mud or dust of the earth. Sometimes it does happen that we go astray wandering to find who cares for us? But know there is someone for you more than a person, an almighty who formed you and always keep a Bible with you. Whenever you feel lonely, sad, without care, failing, fear and confused read the verse which I shared. Now all your worries give it to the Lord, He will guide you and bless you. Because he says, you are my children. I love you so much, but we should do the same for him as well. We should tell him, we love him too because he has made us in his own likeness. and if you feel you have done bad things, you need forgiveness, don’t worry, God is Love just go to him and tell him how much you love him and he will forgive you! And I know nothing is greater than his love! He is amazing! God is Great! He loves us more and more than we can imagine!!! My heavenly father, I thank you for the life in abundance. I see your hand upon me. You are at my side and I thank you for it. I say that if you have seen my bad attitude and behavior, Forgive me, I need your love, Jesus! I know you have made me and I give my control to you. Bless me, Jesus! Thank you for this life! In Jesus Name I pray Amen! Prayer, Practice and Perform: VICTORY SAYS I AM WAITING!!!!!! Today, many of you would be having some vision like I did for Winning the medal, and this still continues in the completion of every task given to me at Office or being at Home. In this race, sometimes it’s important to remind yourself few things before you move ahead with your vision and race in the competition among many competitors who are trying to overcome you. And what would be that if you want to overcome these competitors? Prayer is the most effective tool for communicating with Almighty, who listens to you at all times and His nature is Loving, kind and peaceful with being faithful to provide. When you pray, do not pray as if you reciting 5 words again and again and again, this is not the pray which comes from the heart if you pray, it should be like your talking about your life to God. If you want to know more Click here. ***Remember prayer is your talk with God. It’s actually a phrase, “Practice make a man perfect.” It’s true! Just image whenever you are having competition, you start preparing before one month or even before 8 years etc. But this can be in vain if you don’t practice with a prayer. It’s a fact. Practice will always keep you active without failing you anytime. As the strength comes from the Lord. To know more or personal guide get connected. Performance is always after numbers of practice you do to make a final presentation. Wow! I always loved presenting creative ideas and project presentation at my college level. I was, in fact, the nerdy kid for digging lots of competitive ideas at desk, always directing things and performing better. This was my ideal way of working out at worst and at the best situations. And I loved it!!! But all I have to say it is It was easy with Prayer, Practice and then Performing with extreme satisfaction. What ideas you have? Tellme for your Success! Get connected to know more of Life Adventure with Victory !!! I would love to send you a gift online free, this will help you achieve your Goal with Prayer. 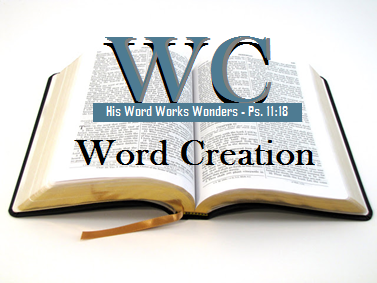 Stay connected to Learn more blessed word from Bible!!! CHANGE YOUR LIFE!!! !